I know sometimes non-Irish folk get flack for celebrating St. Patrick’s Day. In one way I understand it, but in my defense, I will always take advantage of a reason to celebrate food, tradition, and music…even if the cause of the celebration has nothing to with my personal heritage or upbringing. It allows us an excuse to gather with family and friends, but also grants us an opportunity to learn something (apparently corned beef and cabbage is more American than Irish). For someone who spends most of their time thinking about food, this is a perfect holiday to explore recipes and food traditions. In the past, I’ve made vegetarian shepherd’s pies, Brussels sprout and potato pizza (a riff on cabbage and potatoes), an ultra green veggie dip, and a chocolate espresso Guinness cake. I’ve been slowly getting over my fear of working with dough, so someday I’d like to try making Irish soda bread. This year, however, I’ve got dessert on the brain…again. I have leftover salted caramel sauce hanging out in the fridge from the pear donuts I recently made, and I’m always on board for finding ways to incorporate my favorite kind of beer into a recipe, a rich roasty stout. 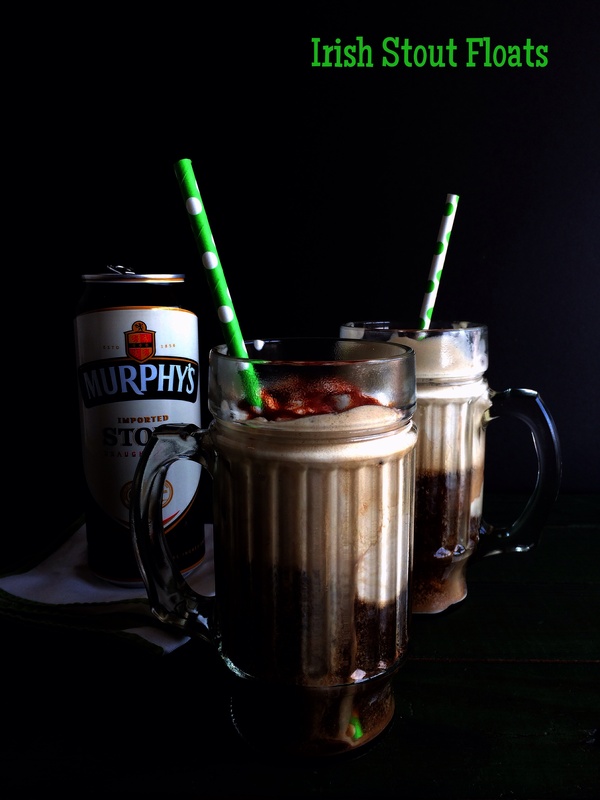 Throw some ice cream in the mix and we’ve got an Irish Stout Float! 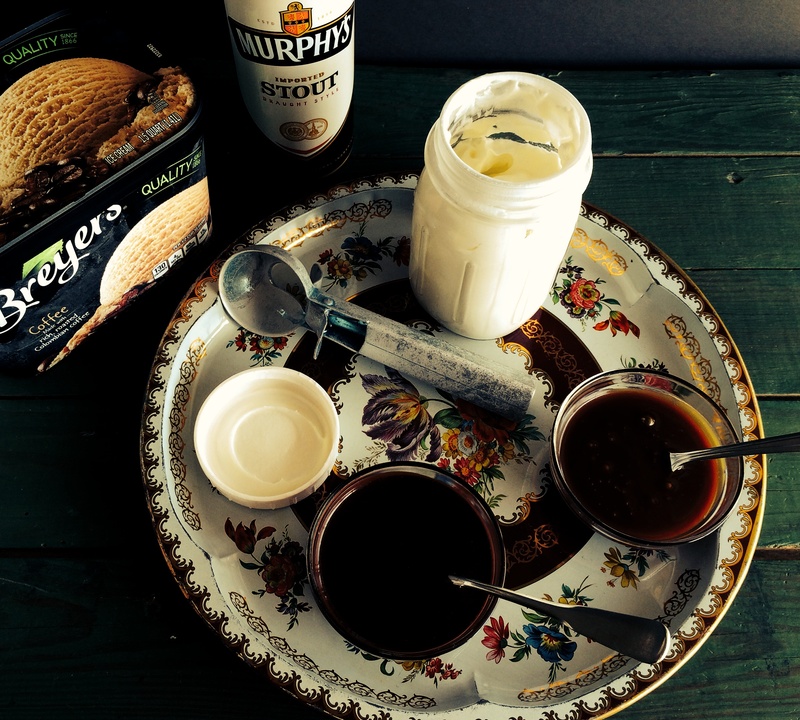 This ice cream float plays off of the flavors of the Irish stout: caramel, chocolate, coffee. 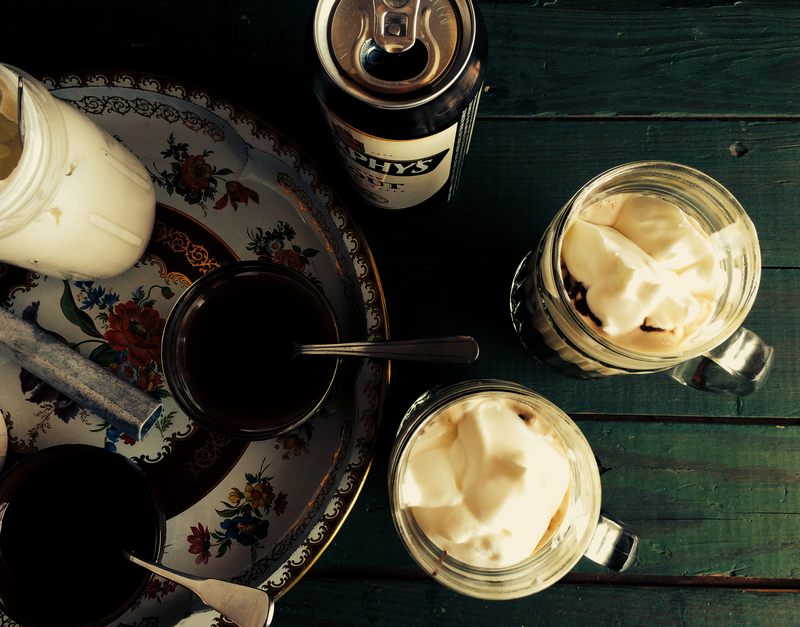 So, we’ve got salted caramel sauce, we’ll add dark chocolate sauce and use a coffee ice cream. None of it overly sweet or it would clash with the bitterness of the stout and actually make the beer taste much more bitter. 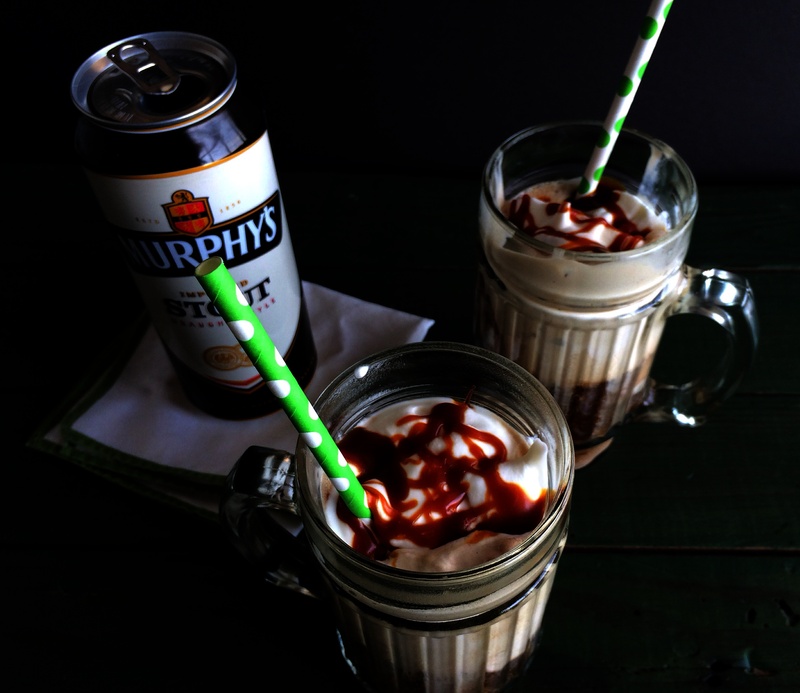 Add a couple hefty spoonfuls of homemade whipped cream to mimic the nice pour of a dark pint with a foamy top and it’s a St. Patty’s Day party in a glass! And to that I say Sláinte Mhaith! Party trick: pour heavy cream and sugar into a jar, screw the lid on tight, then pass it around having people take turns shaking the jar. About 5 minutes later you have whipped cream! 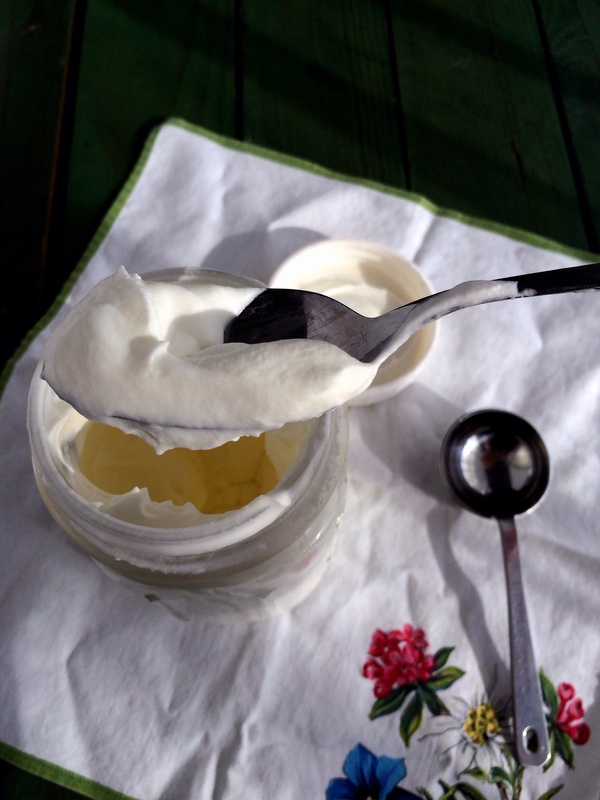 To make the whipped cream, pour the cream and sugar into a jar and screw the lid on tightly. 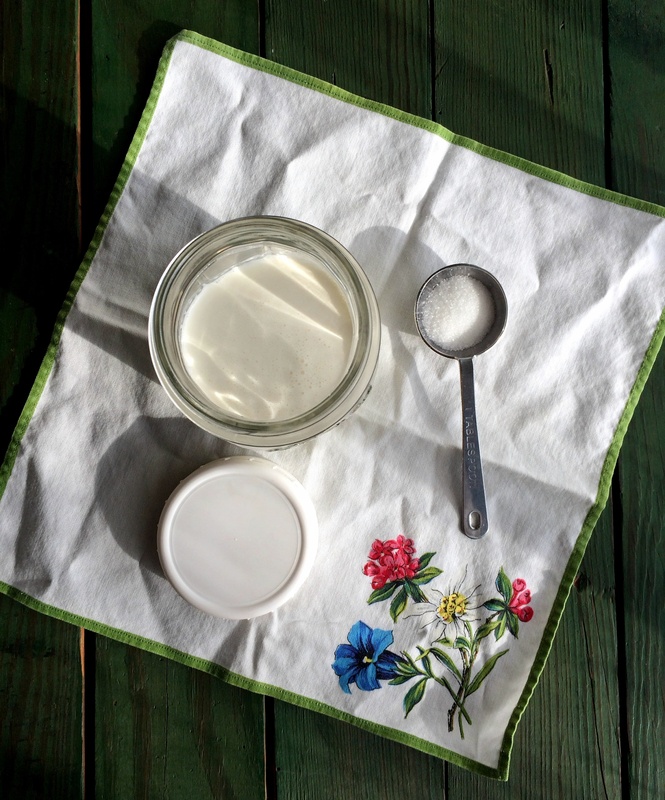 Shake for 5 – 7 minutes, until cream is thickened to desired consistency. To make the chocolate sauce, put a couple inches of water in a pot and bring to a simmer. Set a bowl on top of the pot (creating a double broiler or bain marie) and add the chocolate and half-and-half, stirring until melted and well combined. 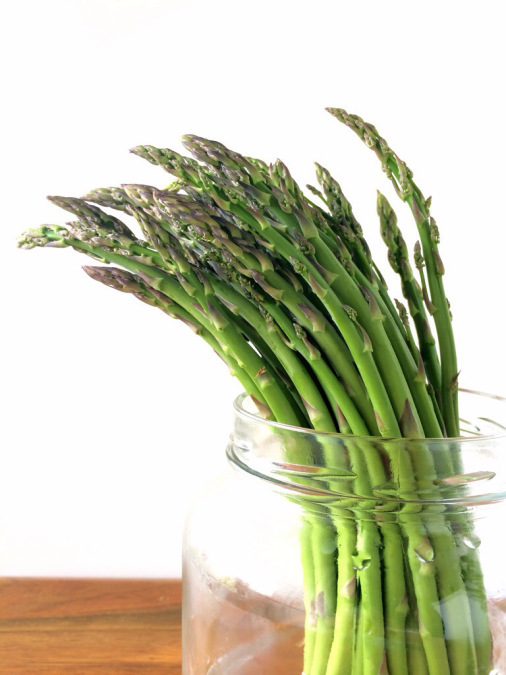 Pour into a jar and let cool slightly. To assemble the floats, add 2 – 3 scoops of coffee ice cream to each mug. Pour beer to cover the ice cream, nearly to the top (ice cream may float to the top and that’s ok). Drizzle chocolate sauce on top of ice cream, then add a couple dollops of whipped cream and finish off with the salted caramel sauce. Enjoy! Sláinte mhaith!